Some shots of the Everest going through a course to demonstrate its capabilities. It's nice to see it in black. For some reason, I have a fondness for black Ford SUV's. It suits them well, it seems. I've warmed up to the Everest in general, BTW. It reminds me of Ford's early 2000's SUV's, in a good way. It's a little strange, we use to buy SUVs that looked like that. I guess we still do with vehicles like the Grand Cherokee, but Ford's SUVs in the US have long lost that rugged go-anywhere appeal. 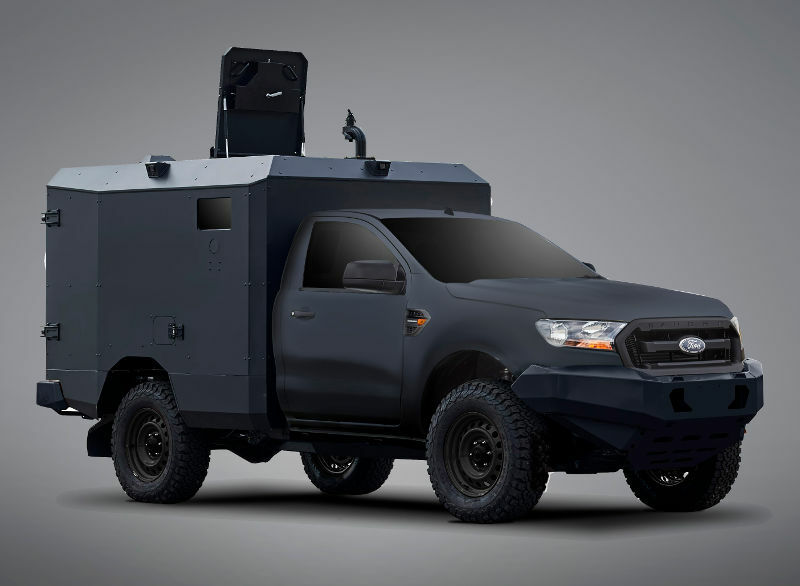 Came across these interesting "rugged" Fords from RMA Group. Spotted testing in the US, the facelifted Ford Everest with no camo. I know some US publications kept on calling the facelifted Everest a Bronco mule when it still had camo on.